On April 17, 2015, the Environmental Protection Agency (EPA) promulgated Resource Conservation and Recovery Act (RCRA) Subtitle D regulations regarding the management of Coal Combustion Residuals (CCR) generated by electrical utilities. This new rule, effective October 19, 2015, establishes minimum standards for the management and disposal of CCR by the generators of these industrial wastes. The requirements of the rule will be phased in over a multi-year period. EPA’s CCR regulations are applicable to the CCR management practices at the Nearman Creek Power Plant Surface Impoundment, Permit # 0413. This site has been and will continue to be regulated under Kansas state laws, regulations, and permits. As part of the rule EPA has finalized a requirement for owners and operators of any CCR unit to establish and maintain a publicly accessible Internet site. Internet postings are required by several sections of the rule. The required postings can be found by following the links below. 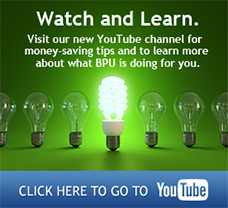 Please direct any questions or comments via email to bpuccr@bpu.com.